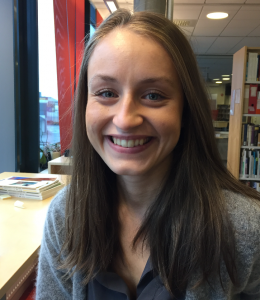 Hilde Švrljuga Sætre is an intern at the Centre on Law and Social Transformation. She recently graduated from the Faculty of Social Science at the University of Bergen, where she specialized in civil society organizations’ influence on the UN Committee on the Rights of the Child. She is the Pilot for the Child Rights Unit. Švrljuga Sætre works fulltime as an advisor for the Norwegian Centre for Research Data (NSD). She is involved in the book project Measuring Child Rights in Norway, as well as the Pro Bono Research Group evaluating a child centric ambition to change the ethos in child welfare agencies in minicipalities in Norway. During Bergen Exchanges 2017 Švrljuga Sætre was the coordinator for the volunteers. She was also the moderator for the seminar Implementing Child Rights in Norway. Hilde Švrljuga Sætre holds a Bachelor degree in Spanish and Latin American studies from the Faculty of Humanities, as well as a Bachelor and a Master’s degree in Public Administration and Organization Theory from the Faculty of Social Science. Her interests include child rights, civil socitety organizations, criminal justice, child welfare issues, international organizations, human rights, political theory, and Latin American politics and history.